Premium-Line rack mounted Optic Distribution Frame – ODF suits for standard 19” server cabinet installation. 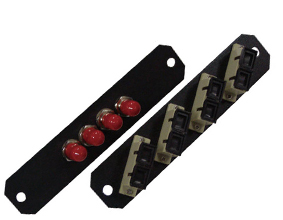 This ODF is available for maximum 96 cores terminated inside with SC or FC connectors & adapters, or 192 cores for LC duplex adapters. 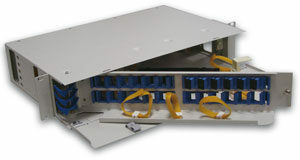 Two simplex adapters stack design make it in easy way for pair coupling distribution in classical fiber network operations. 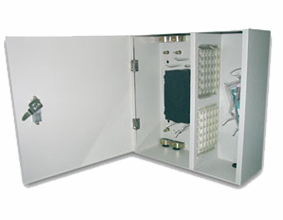 The front door is removable during installation and easily seal with two plastic lockers. 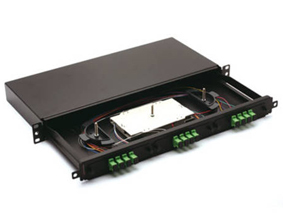 For the cable storage, management and future deployment, the front adapter panel and splice position are all in rotate design, easy for any operations inside.